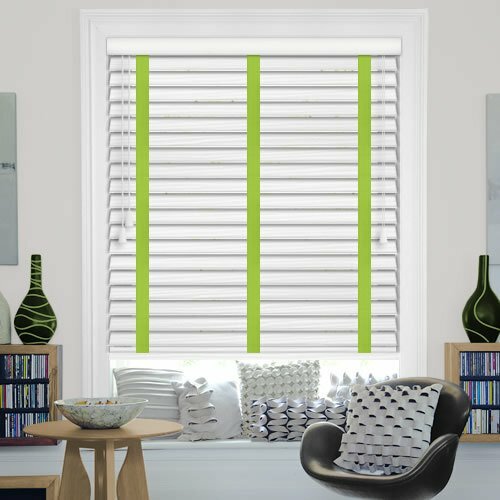 Add a fabulous pop of colour to your homes décor with these luxurious white faux wood blind and contrasting green tapes. 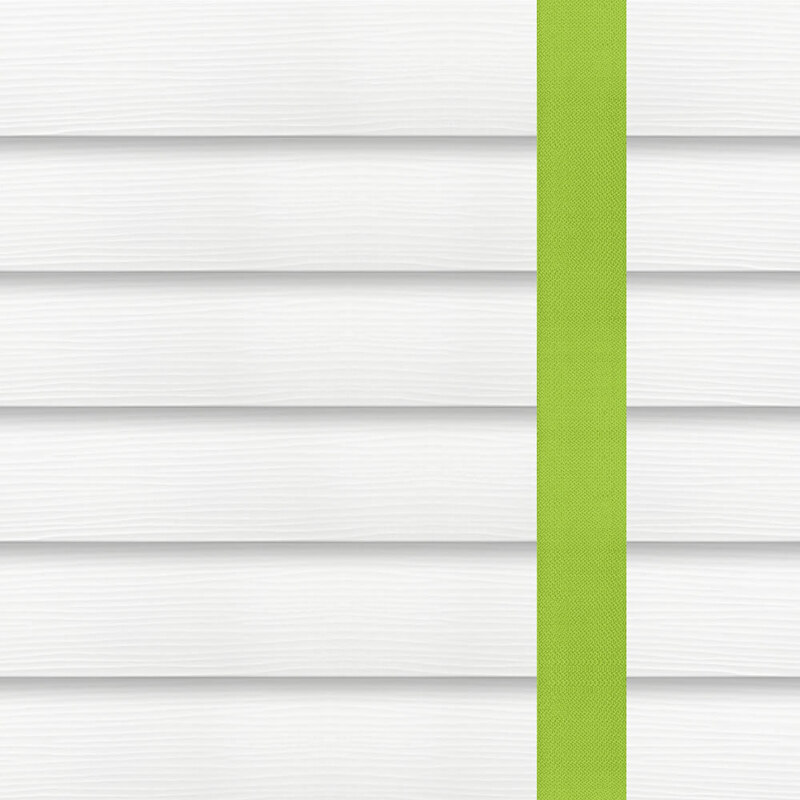 Their natural textured fine grain finish gives them an authentic look and feel. 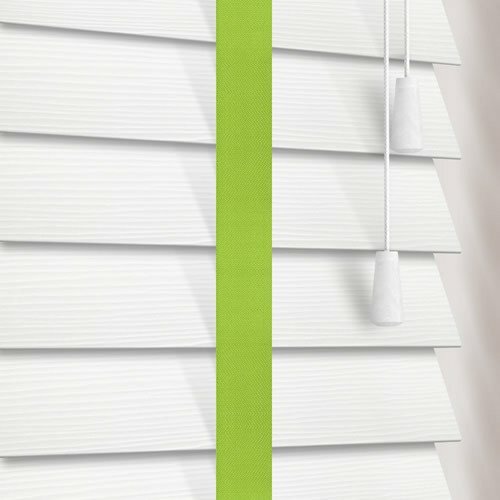 And since they’re made from robust waterproof PVC, their slats won’t warp or crack under the pressure of moisture or heat, so they’re perfect for bathrooms and kitchens. Very happy from start to finish. Would recommend to others. Easy to navigate website, great range of products and a very quick delivery service. Fitted and working in only a few days. What more can I add? 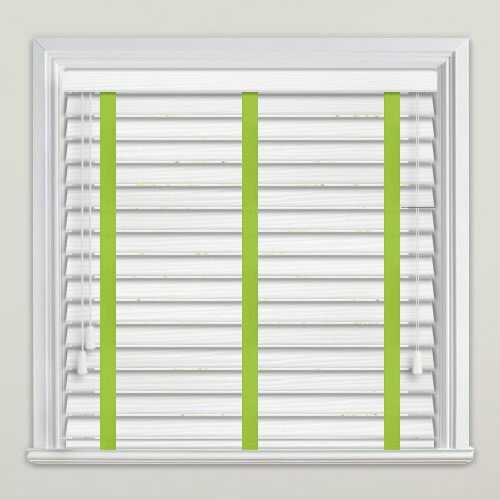 Fantastic blind, fits perfectly into recess for our patio door. Quick service and top quality. 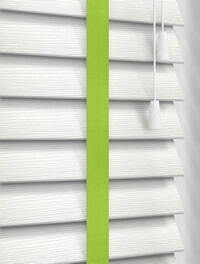 Would recommend English Blinds and will definitely use again.